I have more Polish Pickup Musicals to share with you all today! 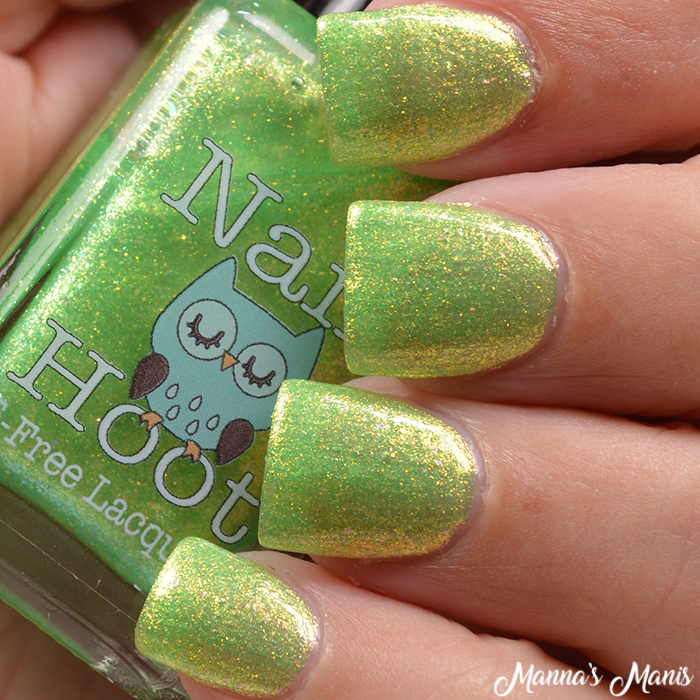 Nail Hoot took inspiration from Mother Goose Rock 'N Rhyme for this vibrant green! 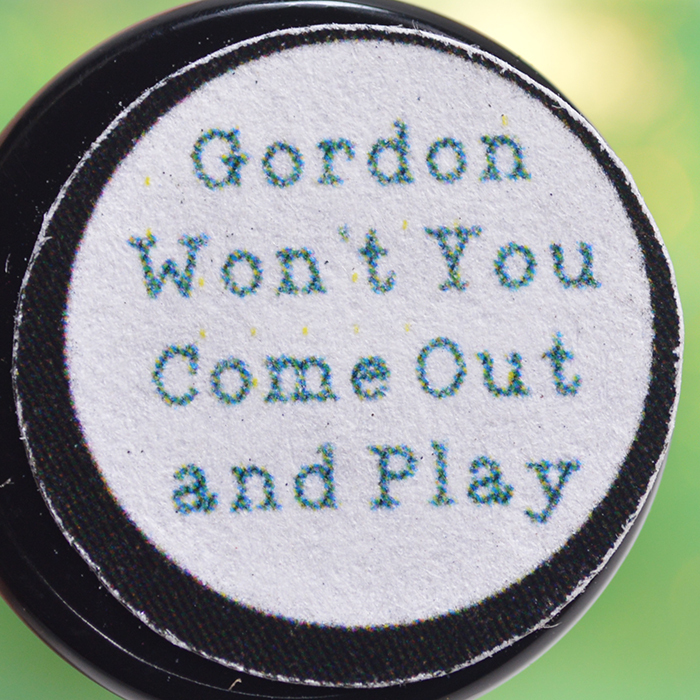 Gordon Won't You Come Out and Play is described as a super bright, totally fun green that's filled to the brim with stunning aurora shimmer and colorful mini flakies. It's so gorgeous that the pics don't do it justice! Shown below is 3 coats. 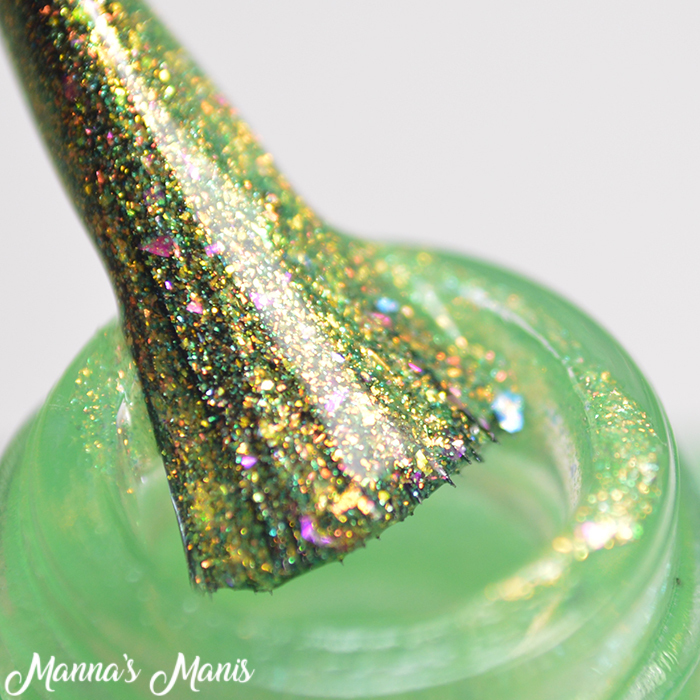 Polish Pickup opens for preorder August 3-6!! This will be $9.25.